Hiking is multidimensional. It offers something for your mind and your body. 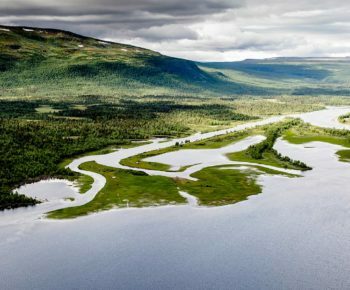 If you hike along the King’s Trail in northernmost Swedish Lapland, you’ll see some of the most beautiful things Sweden has to offer. But good people, remember to be safe. You are, after all, in the Arctic. Come rain or sunshine, with the right equipment you'll be ready. The Kiruna mountain area has tall mountains here with snow-encrusted peaks providing a constant reminder of just how far north you are. And we have deep valleys where reindeer graze while eagles circle freely high above. Clear lakes where you can see deep, deep down, rivers and streams with water so clean that you can just fill up your cup and drink. Flora that caused Carl Linnaeus, no less, to rejoice during his Expedition to Lapland in 1732. The weather in the mountains can quickly shift. 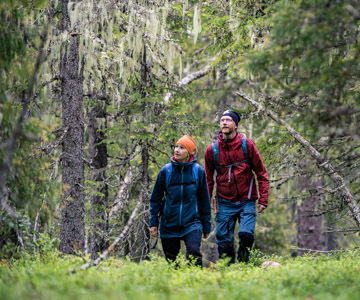 Kiruna offers hiking for everyone; people who want to enjoy stretching their legs for a few hours along clearly marked routes, to advanced weekly hikes where you bring your own tent through the trackless terrain. 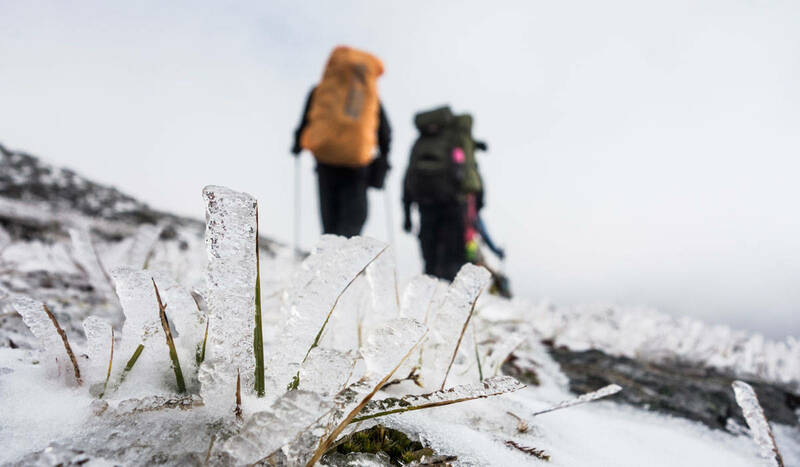 The backdrop to your adventure is powerful and varied – the fertile national park of Abisko and the Kebnekaise mountain range. 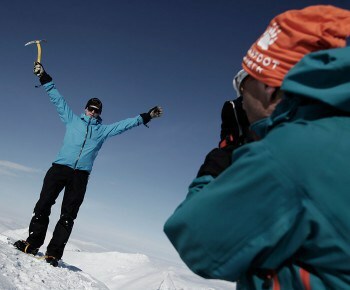 If you fancy a challenge, take the opportunity to climb the highest mountain in Sweden, with or without a guide. And all under the light of the neverending midnight sun, which you can experience in many ways – but the world-famous Aurora Sky Station, with views over both Tjuonavagge (also known as Lapporten or The gate to Lapland) and the 70-kilometre long Lake Torneträsk, is perhaps best of all. Snow isn't unusal from late August to late June. 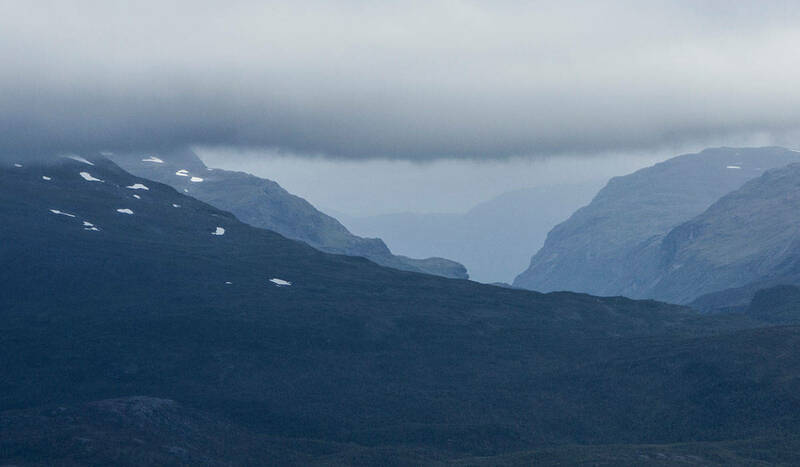 Round off your experience with a local meal on Njullá/Nuolja mountain. Head out on a hike which gets your legs working while your head takes a break and your soul floats freely. Maybe you could enjoy an overnight stay at one of the STF mountain huts, set out at convenient distances from one another along the hiking trails. At some of the huts, provisions are available and you can take a wonderful, invigorating sauna. 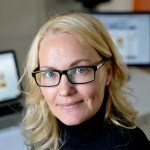 All of this Swedish Lapland mountains offer you, all we ask is that you respect our nature and pick up after yourself. And stay safe. The king of all mountain trails! The water is perfectly safe to drink. The only rule is - don't drink stagnant water. 1. Choose the right equipment. Choose lightweight clothing which will protect you from the elements and breathe when you get hot. 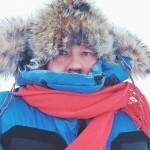 Layer your clothes so that you can adapt easily to the weather. 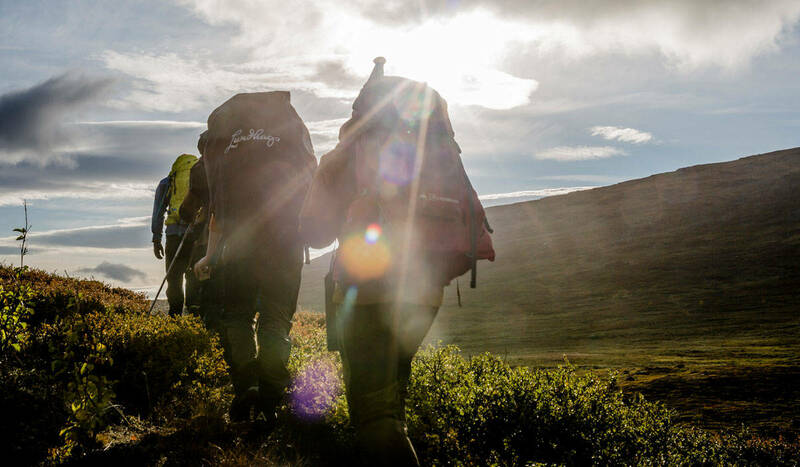 Good equipment needn’t cost the earth, and a rucksack packed properly shouldn’t be too heavy. 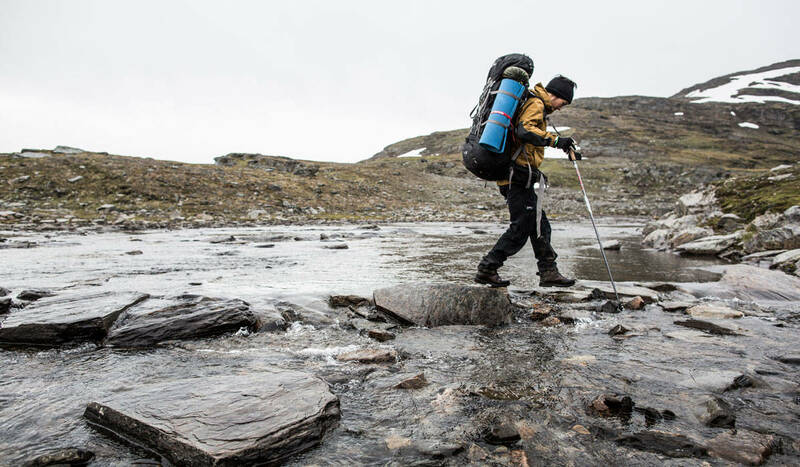 Checklists showing suitable equipment can be found at www.fjallsakerhetsradet.se. 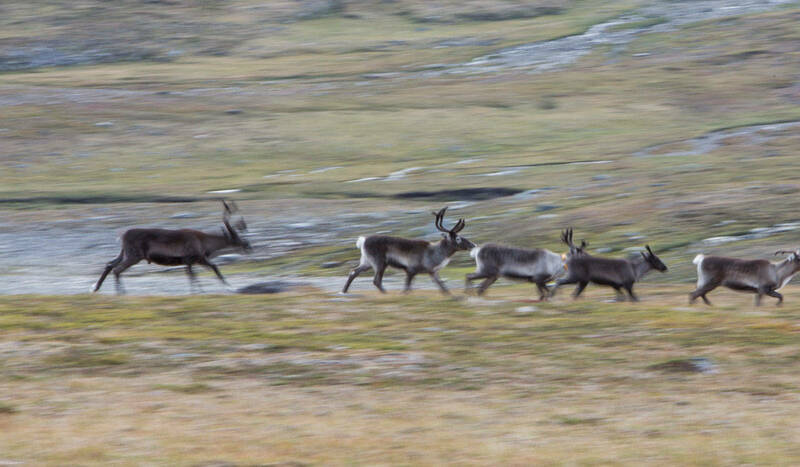 If you come across a flock of reindeers while hiking – keep your distance and try to keep still until they’ve passed. 2. Let someone know where you’re going and what time you might be back. It’s important to make sure someone knows your planned route and when you’re expecting to be back. Tell someone who can raise the alarm if you don’t return as planned. 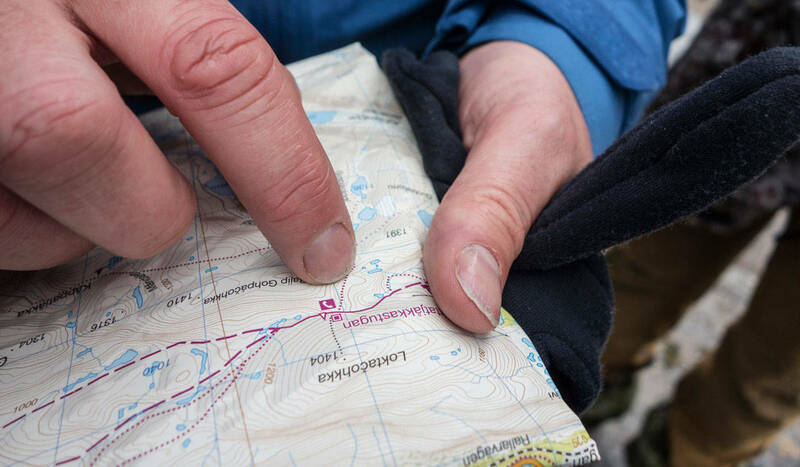 Brush up your map reading skills. Make sure your map is up to date. 3. Adapt your trip according to the weather. The weather can change quickly in the mountains. 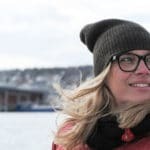 Check local weather forecasts on the radio, or at www.smhi.se. Weather services are also available as apps for mobile phones. Always respect mountain weather warnings issued. 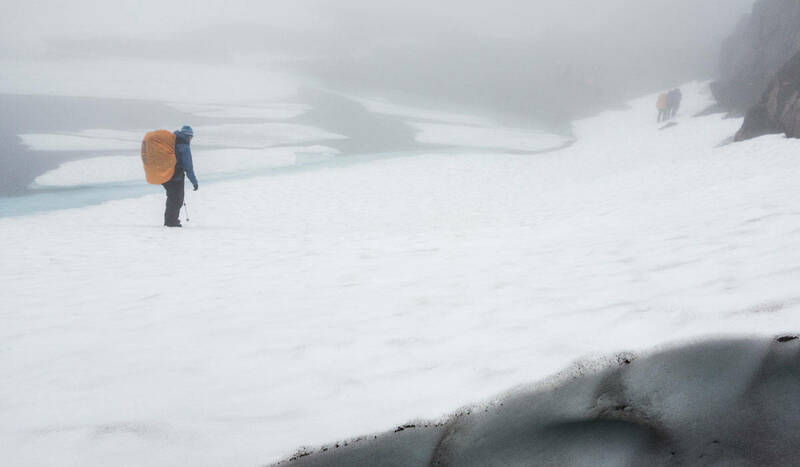 There might be glaciers along the way, tread carefully. And never alone! 4. Follow marked trails. There are hundreds of kilometres of marked trails in the mountains, with distance markers, cabins where you can spend the night and assistance phones. Follow the trails – this will make it easier for you to find your way about, and it’s safer in case you need help for any reason. Remember, red crosses indicate winter trails which aren’t always appropriate to follow in summer. 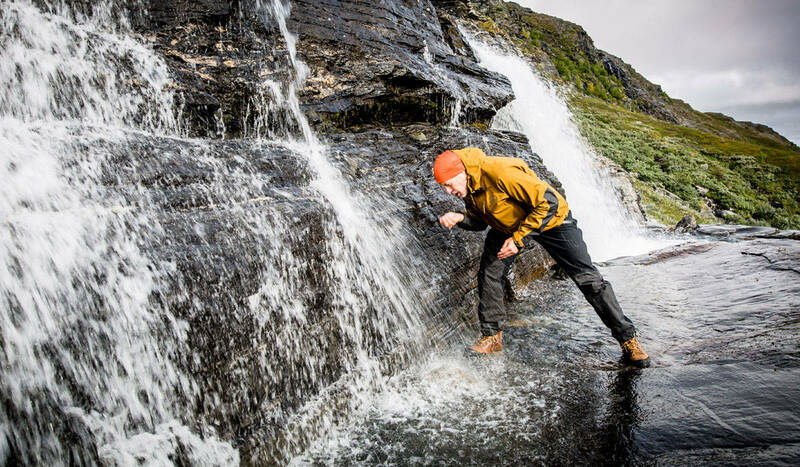 Avoid wading if the water's high (when the snow's meltning around spring). If you need wade, choose the widest part of the creek. Use poles or a rope. Weather reports from SMHI and YR.no. 5. Take a map and compass with you. Make sure your map is up to date. The compass will mainly be needed when you’re off the marked trails, and you’ll need to know how to use your compass, too. Use GPS if you like, but remember that batteries discharge quickly when cold. 6. Ask experienced people for advice. People who often spend time in the mountains can give you vital information, such as the hosts at the STF’s mountain cabins. Get in touch with them and ask questions about routes, water levels, bridges and anything else that might make your planning easier. 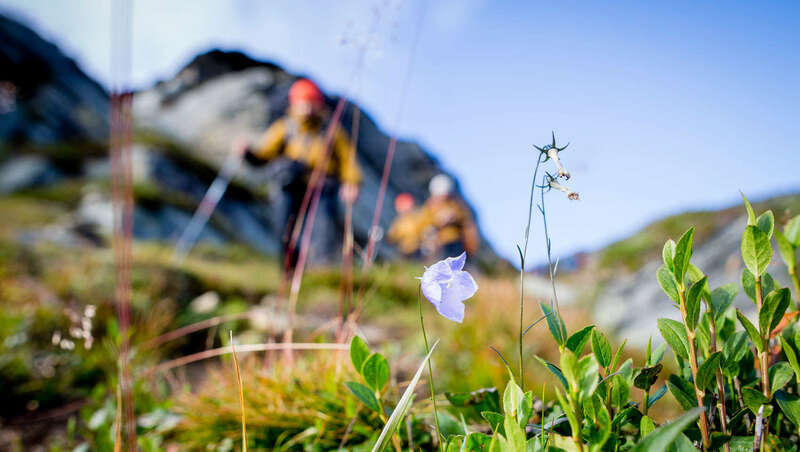 There are local mountain safety committees who know all kinds of things about their local mountains. Arjeplog claims to have an archipelago in the middle of the mountains. They also decided that it should never be impossible to reach the highest mountain. Even if it might be difficult to spell the name of the mountain in question sometimes. Getting just the right amount of physical activity will do you good. This is common knowledge. It is also said that nature is a healer for both body and soul. Maybe more so than ever in late summer when the colours begin to change, from sharply green to fiery red and orange. The air becomes wonderfully crisp and fresh, filling your lungs and your mind with energy.